I sympathize so much for babies while they are teething. Think about what teething actually entails… babies are born with 20 primary teeth sitting below their gumline just waiting to burst through. It can take days or weeks for a tooth to make its way through the gumline, and the process can be grueling and for babies. And, on top of that, they don’t understand what’s going on. Poor teething babies! The teething process usually starts long before their first tooth cuts through; you might notice drooling as early as two or three months of age, although the first tooth might not appear until four to seven months of age on average. Every baby’s teething timeline is a little different, so if you are concerned about your baby’s teething progress, please ask your doctor. The teething process carries on through the toddler years with most kids having their full set of baby teeth by age three. 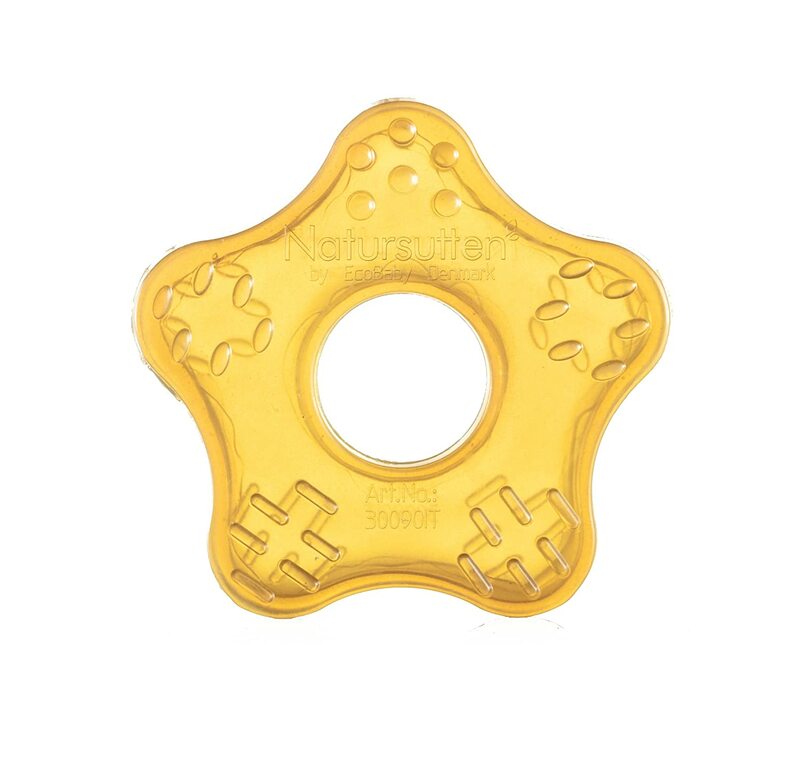 There are natural ways to give your baby some relief from teething, including some wonderfully made non-toxic teething toys. 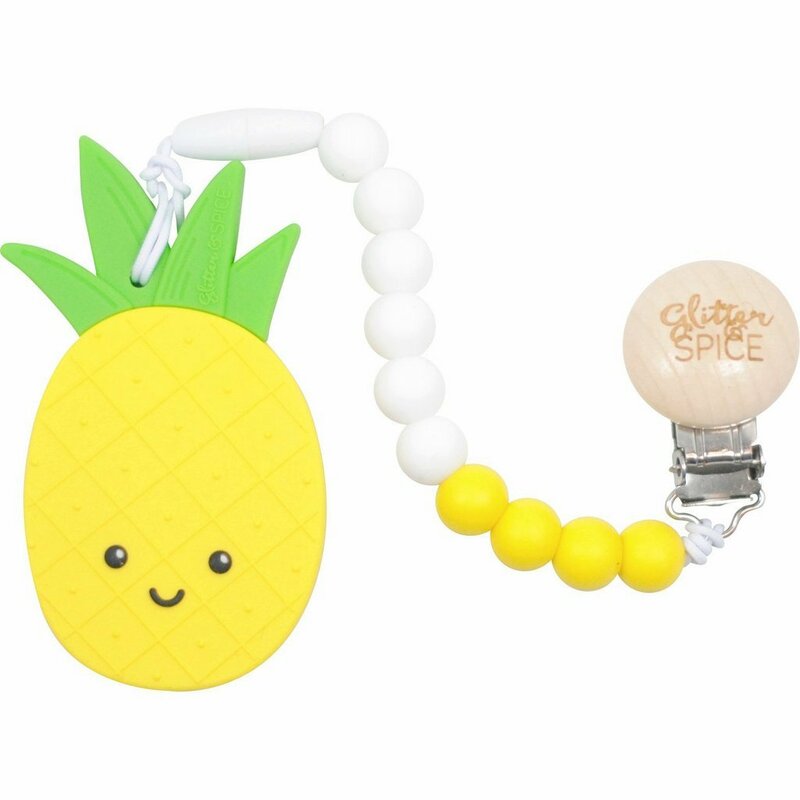 It’s important to avoid most mainstream teething toys and stick with some key materials like natural rubber, wood, or silicone, since these items go directly in your baby’s mouth. We’ll go over some of my favorites below. Your baby may have one or more of these symptoms while they are cutting a new tooth. As always, be attuned to what’s going on with your baby and you’ll eventually get to know their telltale teething signs (and when to pull out their non-toxic teething toys)! I prefer not to give medication to my babies while teething; in fact, I don’t really give them anything other than extra cuddles, frozen washcloths, and teething toys. Instead of stressing about these dangerous teething aids, try these options to ease the teething pain. Give soft foods. If your baby has started solids, cold applesauce and yogurts can help ease gum pain as well. Rub your baby’s gums. Use a wet gauze pad to rub your baby’s gums. The pressure will offer some relief. Use amber teething necklaces. Amber teething necklaces are supposed to help with teething pain because they contain succinic acid, which serves as a natural pain reliever. 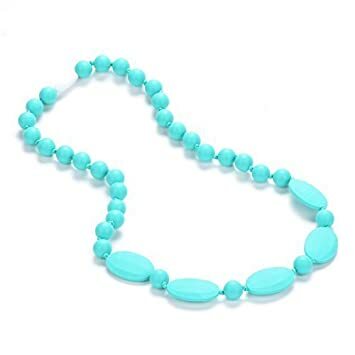 Worn around your baby’s neck, they are said to provide the pain relief needed during teething. There are varying opinions on whether amber teething necklaces are safe or not, and whether they actually relieve teething pain. I don’t personally feel very strongly in either direction. If you want to try it out, consider the Baltic Wonder brand or the Little Willard Baltic Amber Teething Necklace. Note: these are not for your baby to chew on, and instead are to simply be worn around your baby’s neck while they are awake. 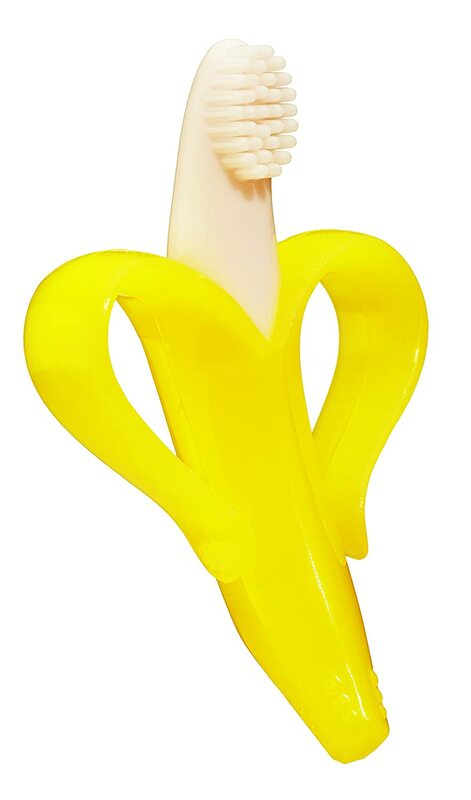 Give your baby teething toys. 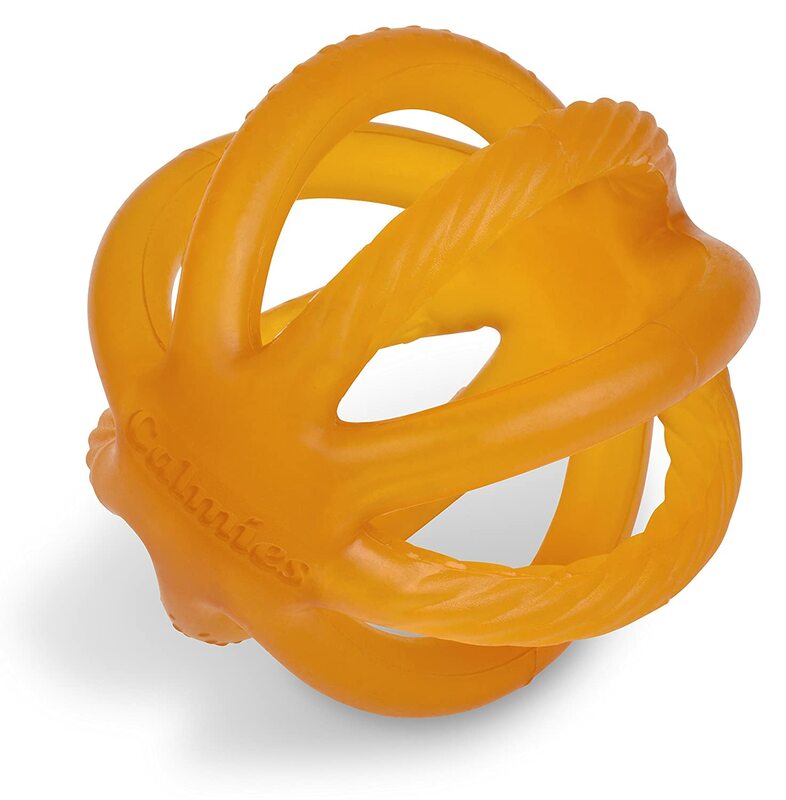 Allowing your baby to chew on a safe teething toy can help relieve some of the pain and pressure on their gums. Read on for my list of the best natural teething toys for babies. Teething toys made from these materials are safe for your baby to gnaw and drool all over them. Below you’ll find a list of great choices to shop from. What you want to avoid when shopping for non-toxic teething toys are any teething toys made from plastic and ones that contain BPA/BPS (endocrine disruptors), PVC/vinyl (the most toxic plastic), fragrances, or phthalates. If you’re looking for some safe, non-toxic teething toys, check out these wonderful, trusted products. 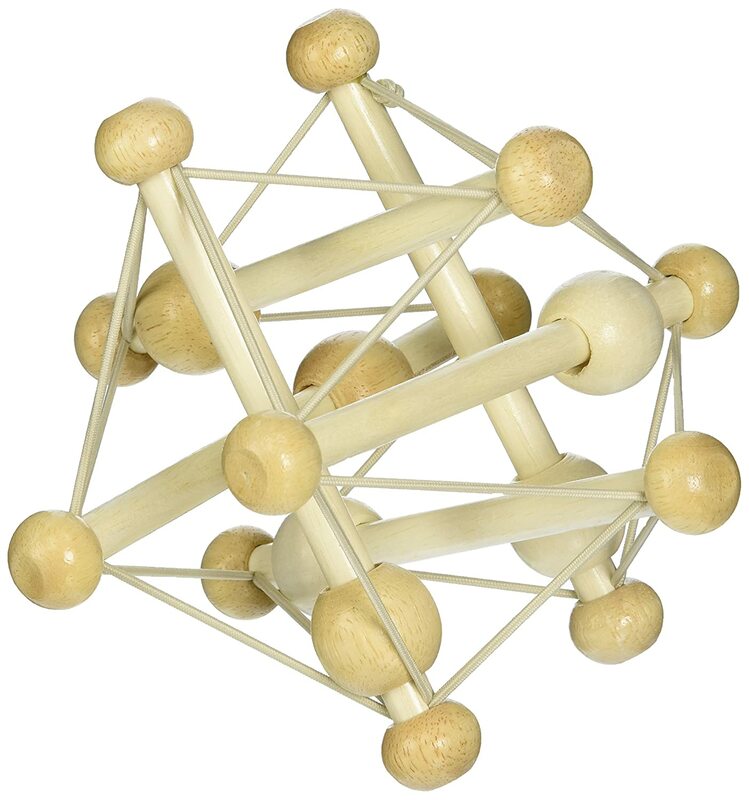 Harvested from the hevea tree, natural rubber is a great choice for teething toys because of its flexible and chewy texture and natural antibacterial properties. Not only is it a renewable resource, but it is non-toxic and almost entirely safe for babies. The only real concern I would have with using latex is the possibility of your baby having a latex allergy, though this is actually rare nowadays. 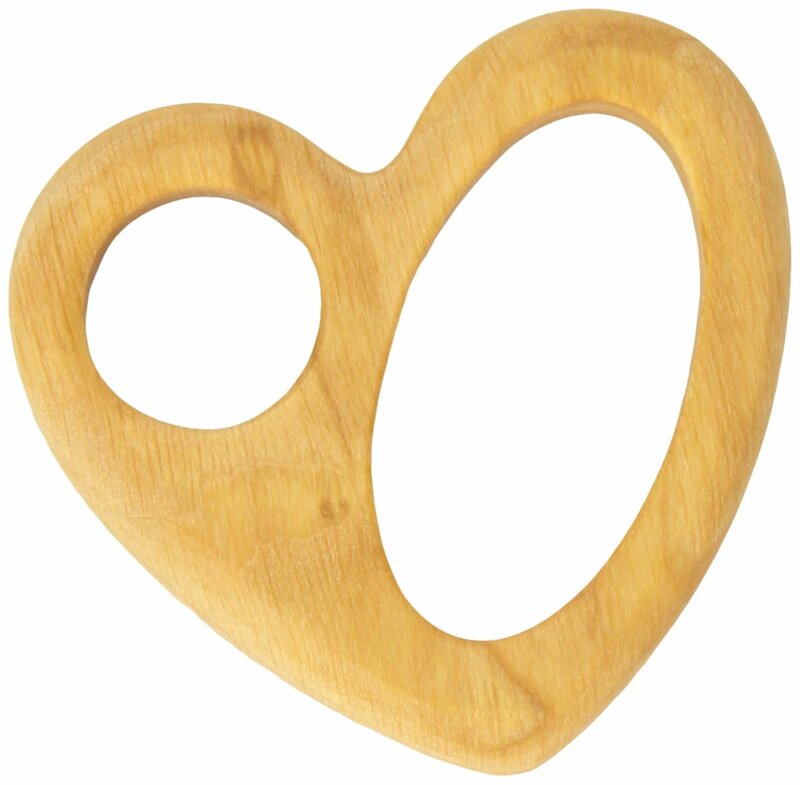 Wooden teething toys are a great non-toxic option to help relieve your baby’s teething aches and pains. 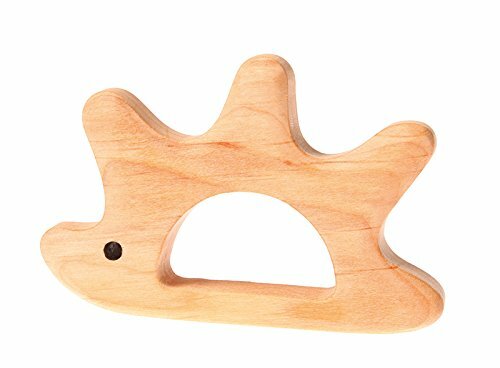 Look for solid wood teethers with no finish or a natural vegetable-based finish. 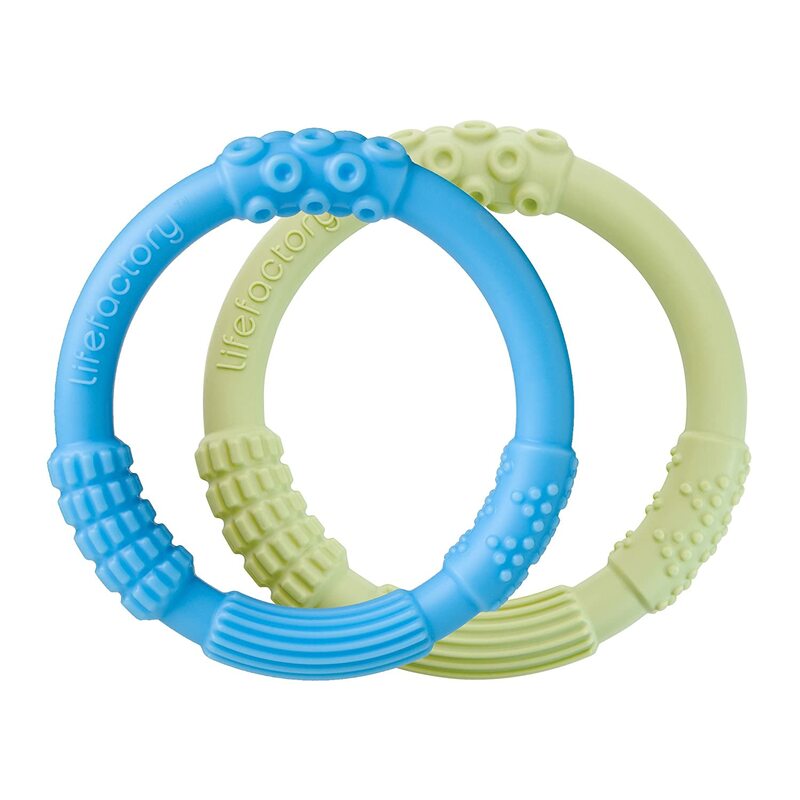 Silicone teething toys are definitely the most popular and most common teething toys you’ll come across. They’re soft and chewy – and stimulating at the same time – but still give your baby the relief they need. Silicone is BPA-free and studies have shown that it does not leech. 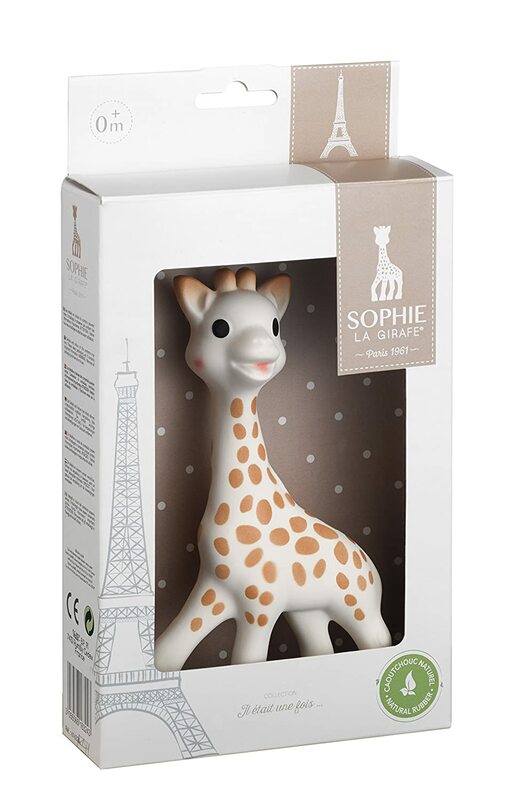 Teething toys can be so cute, but what matters most is that they are made from safe materials. I hope you’ve found this list of the best teething toys helpful, and that you have a couple you’d like to try for your baby! Which ones did you choose?